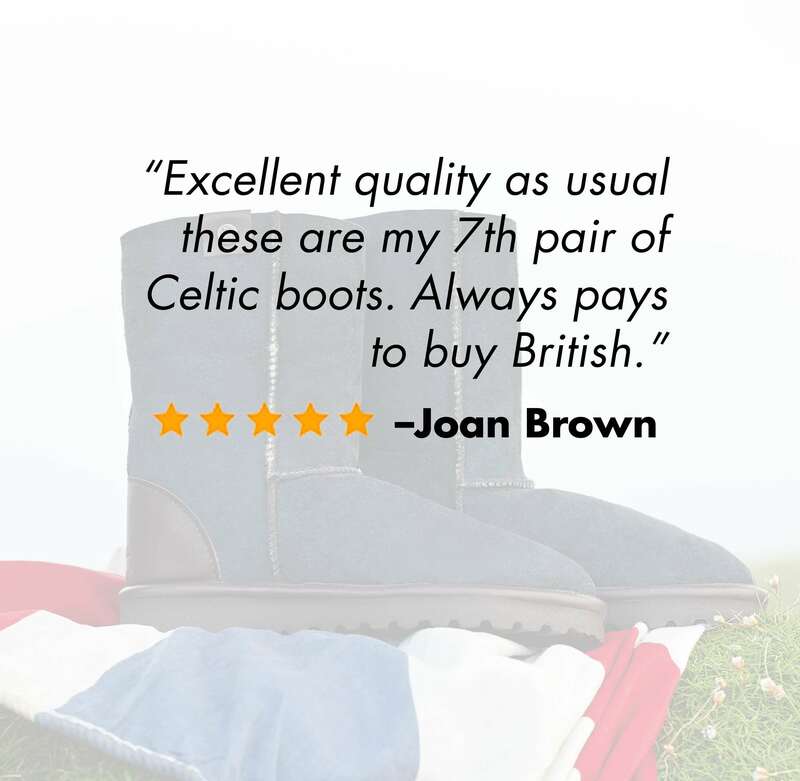 Exactly what is it about our sheepskin boots that Celtic & Co customers just can’t get enough of? Since the 90’s our boots have always been designed with a clear vision in mind, to be the highest quality, warm, comfortable and practical sheepskin footwear, designed for everyday wear. While the 100% sheepskin collection has considerably grown in size from the early days, the quality has only improved with the ever expanding product line. Today we create the Original and Classic collections available in 3 heights and a range of different colours alongside the Aviator Boots featuring a zip and the Aqualambs with their water resistant skin. Additionally, last season we introduced the Moccasin line, driven by a fashion focus. As the collection continues to grow, so does the timeless look and effortless feel of each style. 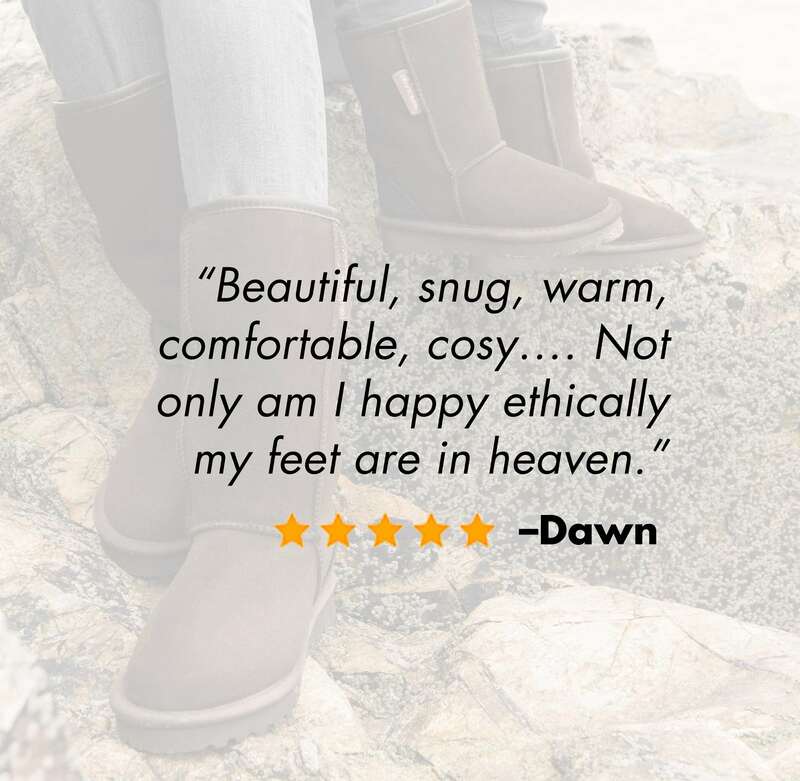 The unquestionable warmth and practicality of our sheepskin boots make them a firm favourite for boot buyers year on year. A little known benefit of our sheepskin boots is that almost every style is machine washable on a 30 degree wool cycle using our specially formulated Celtic Wool Wash. We advise that this is done in a pillow case to protect the nap of the boot, then allow them to dry completely naturally. Adding to the practicality of the boot, this means that ultimately day to day life and the elements don’t have to stop you in your tracks. Hand crafted in our factory in Newquay, Cornwall from 100% premium British sheepskin our boots have been made here since the beginning with the same love and care. Our skins are pre-treated so that they’re washable and double stitched for durability, constructed in-house from 11 elements which are cut and stitched by hand by our highly skilled workshop team. Here at Celtic & Co we truly love what we do and that is reflected in each and every pair of boots and slippers which leave our workshop doors. The planet is important to us. That is why here at Celtic & Co all of the sheepskins that we use in the production of our boots and slippers are a by-product of the UK farming industry which operates within the highest regulations of animal welfare. We only select the finest quality skins for our products, which are sourced as close to home as possible, we are therefore very proud to support the UK farming industry and British farmers. Down to the exceptionally high quality of skin that we use, our boots hold great temperature regulating benefits. This allows the skins to keep your feet warm and toasty on a fresh winter’s walk, whilst cooling them down as you pop to the shops. The natural qualities that these boots hold, make them essential footwear for modern women on-the-go. So why not give your much loved boots a new lease of life with the ultimate VIP treatment; our Resole & Repair Service. For £45.00 (+ p&p) we can replace the entire sole on your boots leaving you with a brand new tread and sheepskin inner sole. For an additional £22.00 we can also change the panel across the top of your toes, resulting in new pieces of skin around the entire foot. 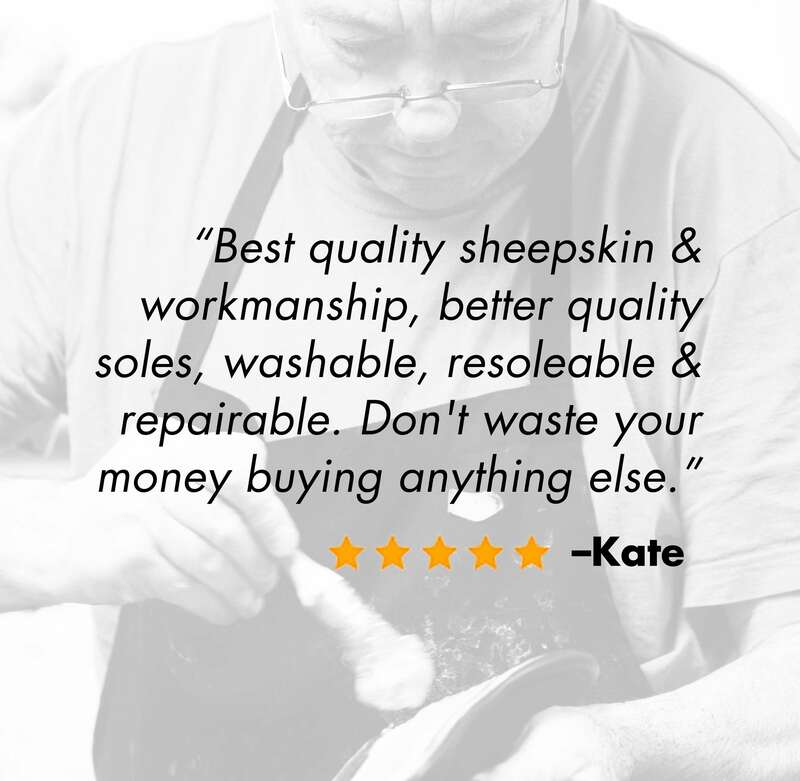 Half the price of a standard pair and just as comfortable, we highly recommend our revamp service to rewind the time on your sheepskin boots. And that concludes our top reasons why we have stood the test of time for almost three decades.